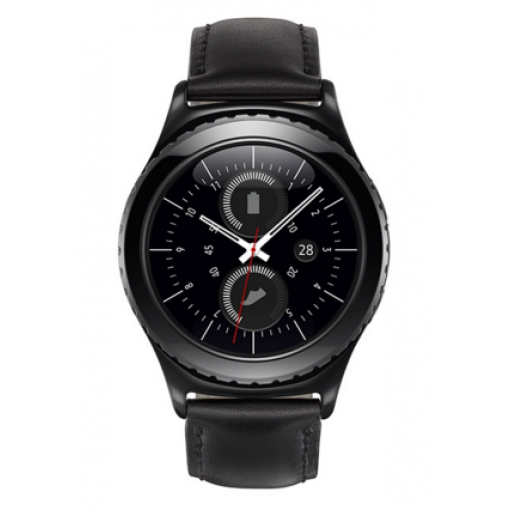 Sell Samsung Gear S2 Classic Smartwatch | How Much is Gear S2 Worth? Reactivation locked devices are not accepted.Please turn off Reactivation lock prior to shipping to GreenBuyback. How Much is My Samsung Gear S2 Classic Worth? Sell your Samsung Gear S2 Classic for top dollar at GreenBuyback. Select the information above in order to receive an accurate quote for the Samsung Gear S2 Classic you want to sell. Click sell item if you agree with the price that is displayed. GreenBuyback purchases cell phones, tablets, and laptops at the highest prices in the industry! GreenBuyback pays cash for your old cell phones, tablets, and laptops. When you sell your cell phone, tablet, or laptop to GreenBuyback you will never have to pay for shipping. GreenBuyback is dedicated to maximizing the cash back to our customers. Sell your Samsung Gear S2 Classic for cash today! Samsun's Gear S2 Classic is their flagship smartwatch. Originally released in 2015 and updated in 2016, the Gear S2 has an eye-catching design, a clever rotating bezel that's actually useful. The watch display is gorgeous and well designed. The watch offers solid health tracking and slightly better battery life than other high-end smartwatches. Plus, it works with a variety of Android phones, not just with Samsung! Selling a Samsung Gear S2 Classic is so easy with GreenBuyback; send your Samsung Gear S2 Classic to GreenBuyback with free shipping and you'll get cash sent to you fast! The lithium ion battery allows for up to 3 days of battery life and comes with a wireless charging pad. In addition to the fitness tracking, the smartwatch comes preloaded with Twitter and Nike+ running. This powerful watch packs a solid punch where it counts and looks great doing it. GreenBuyback will buy your Samsung Gear S2 Classic in any condition, even broken! Simply head to GreenBuyback to get a quote, send your Samsung Gear S2 Classic in, and get cash quick!